July 12 makes sense, doesn’t it? 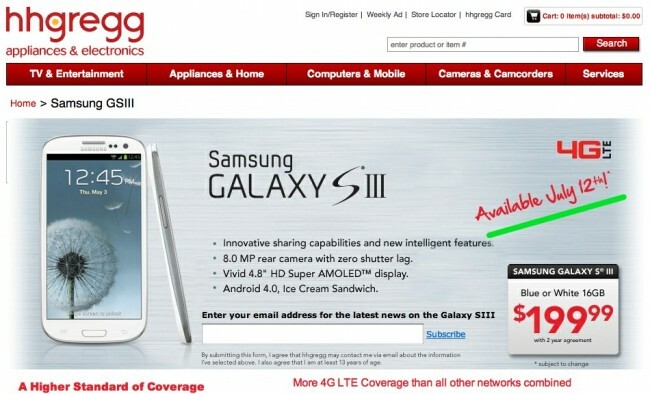 Verizon has been letting you pre-order the Galaxy S3 which has already had estimated shipping days of July 9, 10, and now 11. If devices shipped around then, we would sort of expect them to arrive in stores and on doorsteps by July 12, a Thursday. And we all know how Big Red likes to launch devices on Thursdays, don’t we?